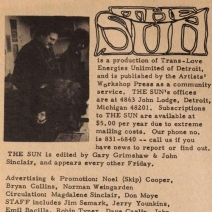 The Sun was the newspaper for a succession of communities around the paper’s founder and first editor, John Sinclair. 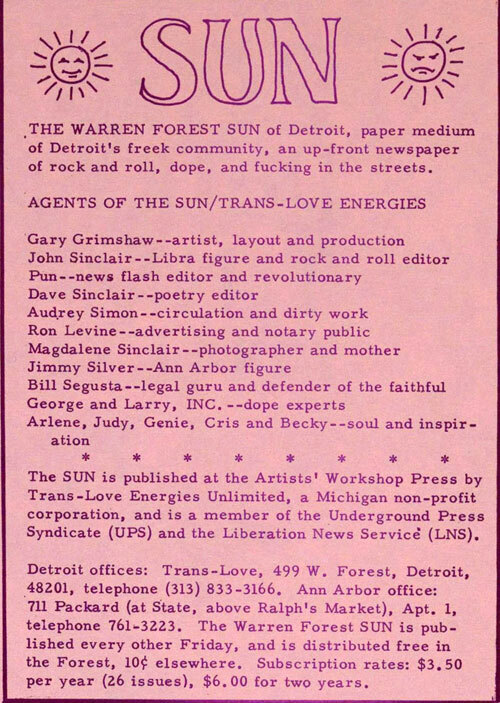 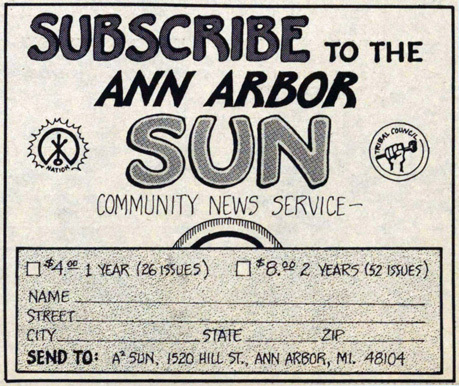 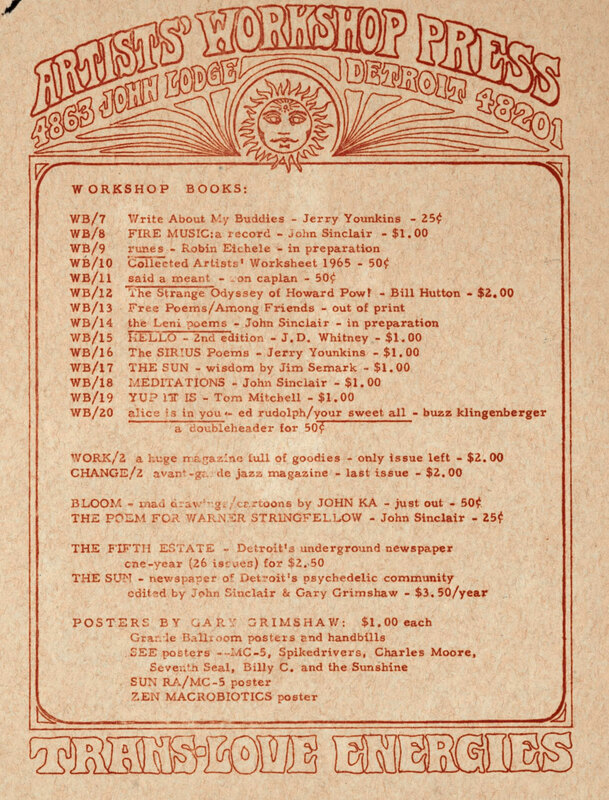 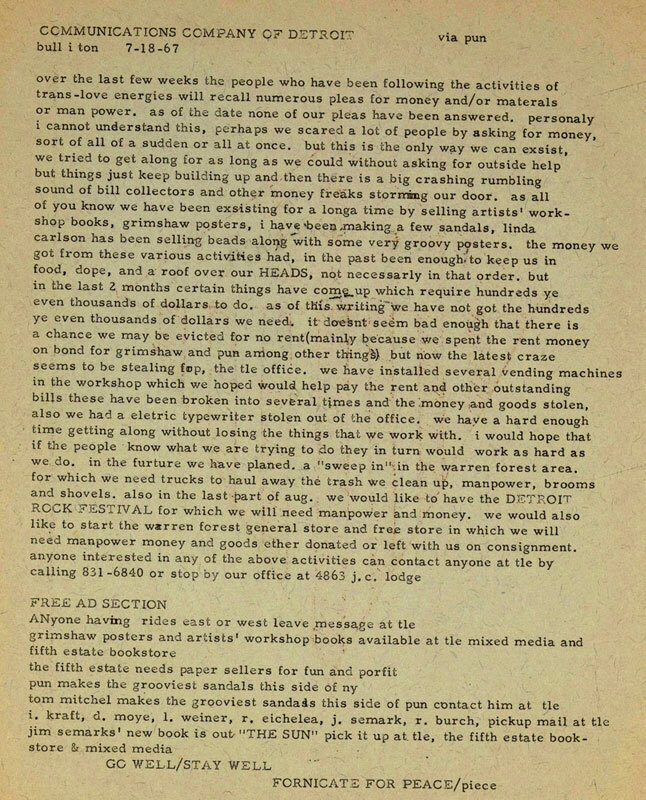 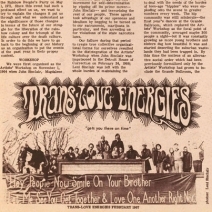 Begun in 1967 in Detroit as the Warren-Forrest Sun, the name was changed to the Ann Arbor Sun when the Trans-Love Energies commune moved to Ann Arbor in 1968 and set up shop at 1510 and 1520 Hill St. 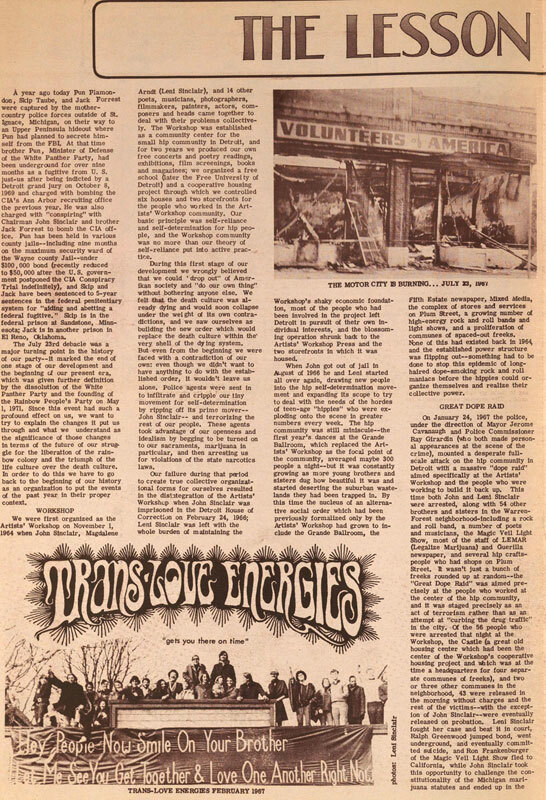 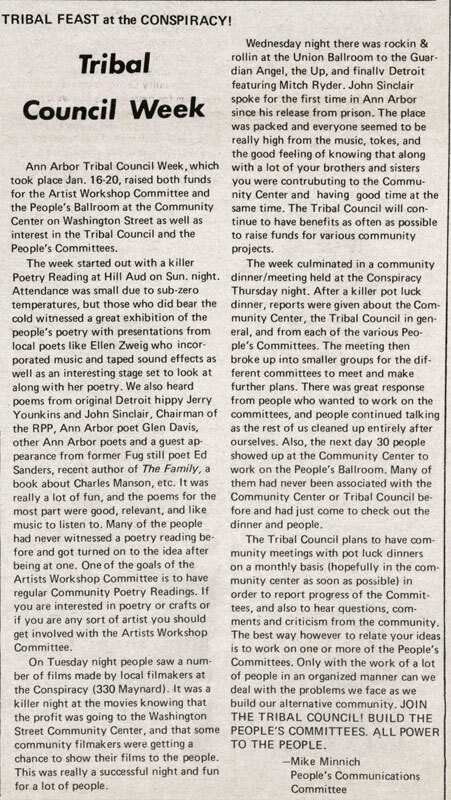 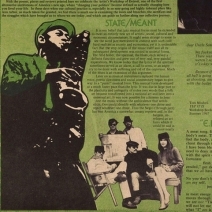 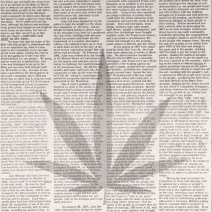 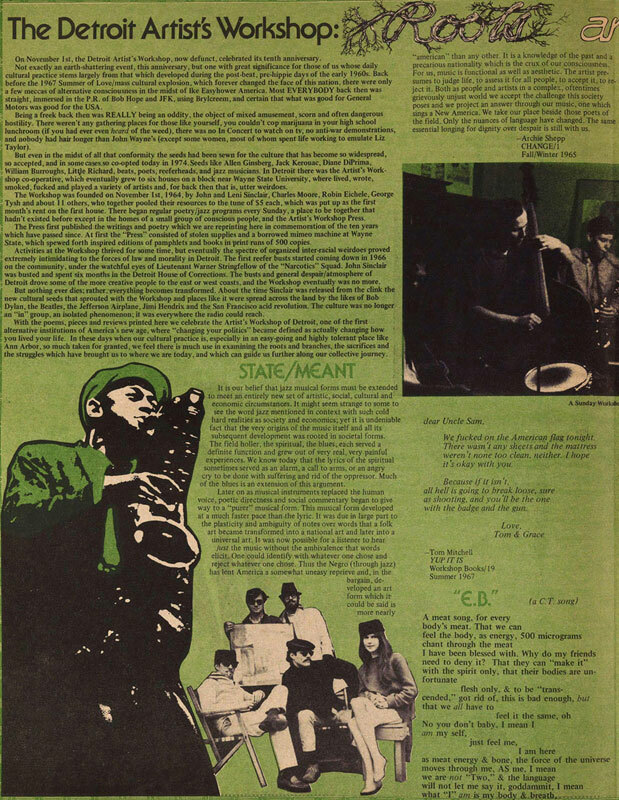 The newspaper was the mouthpiece for the White Panther Party and the succeeding Rainbow People’s Party before being an independent publication devoted to local issues, left-wing politics, music, and arts. 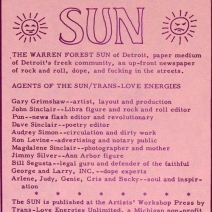 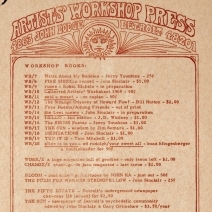 To learn more about the Sun, the White Panther/Rainbow People’s Party, and John Sinclair, go to Freeing John Sinclair. 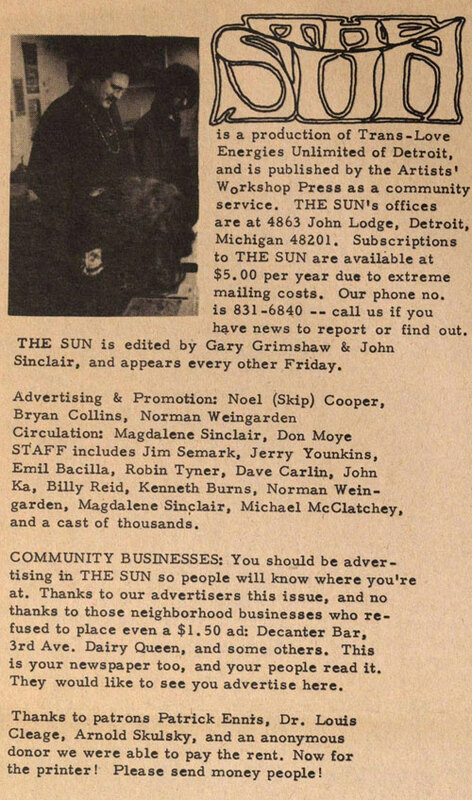 Freeing John Sinclair is a product of the Ann Arbor District Library in collaboration with the Bentley Historical Library, Cousins Vinyl, and the Rock and Roll Hall of Fame. 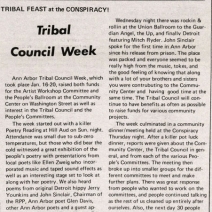 All images shown here are courtesy of Ann Arbor District Library. 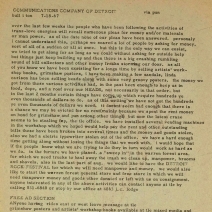 High resolution images can be downloaded from their website. 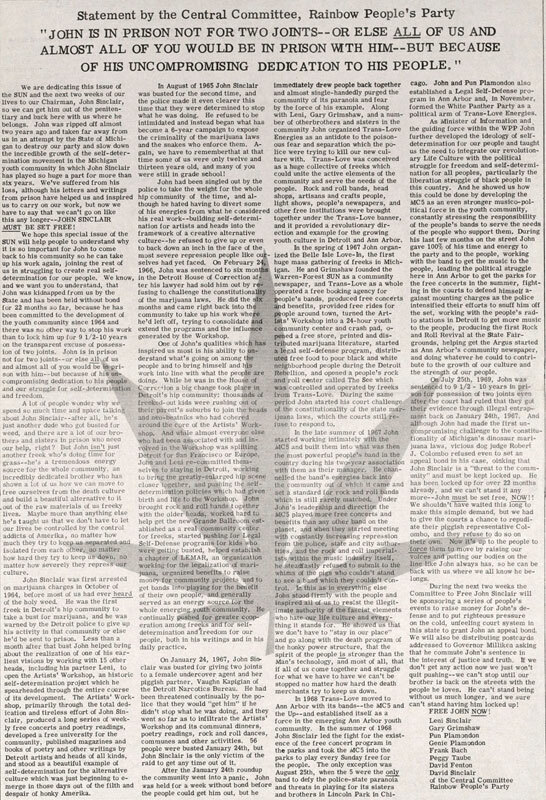 And there are a lot of them.